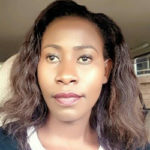 Rhita holds a Diploma in Nursing and Midwifery from the Malawi Adventist University and is currently in her final year of a BSc in Public Health at Shareworld Open University. At the same time Rhita works at the Malawi Liverpool Wellcome Trust in Blantyre where she coordinates various research projects. In 2014 Rhita obtained her Certificate of Competence in Foundational Spirometry and in 2016 her European Respiratory Society European Spirometry Driver’s Licence. Rhita’s natural leadership abilities have seen her grow into the position of spirometry training assistant facilitator. Rhita is a valuable member of the team at Education for Health Africa who quality assures and over-reads spirometry in research for sites across Africa.